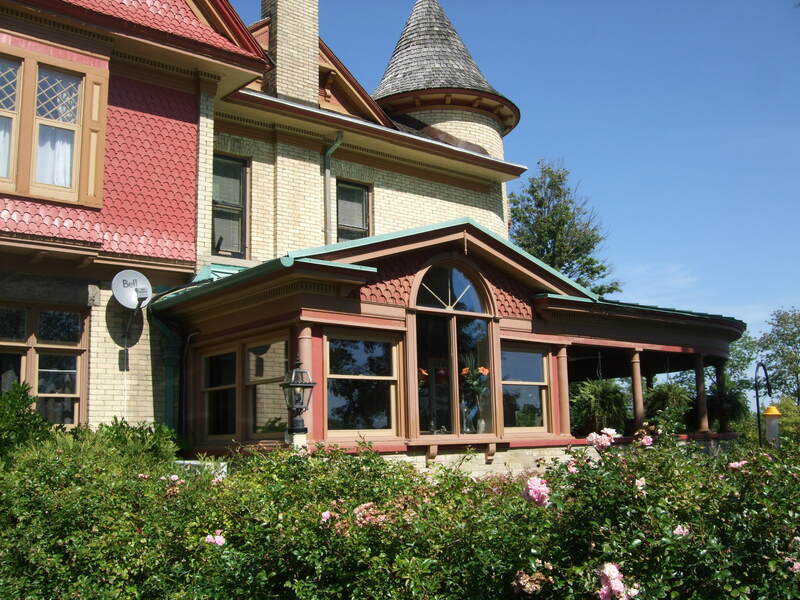 Outside the hustle-bustle of the tourist area of Niagara Falls we found a gem of a painted lady––an old Victorian house––which is now a wonderful bed-and-breakfast inn with views of the Niagara River gorge about a mile below the Falls. Carolyn and Gary Burke moved into the fixer-upper thirty-four years ago and raised their two children there while restoring the home to its 1860s glory. Thirty years ago travelers would routinely knock on the front door and ask to stay for the night. Apparently, that was an accepted practice in Europe when hotels were hard to find. 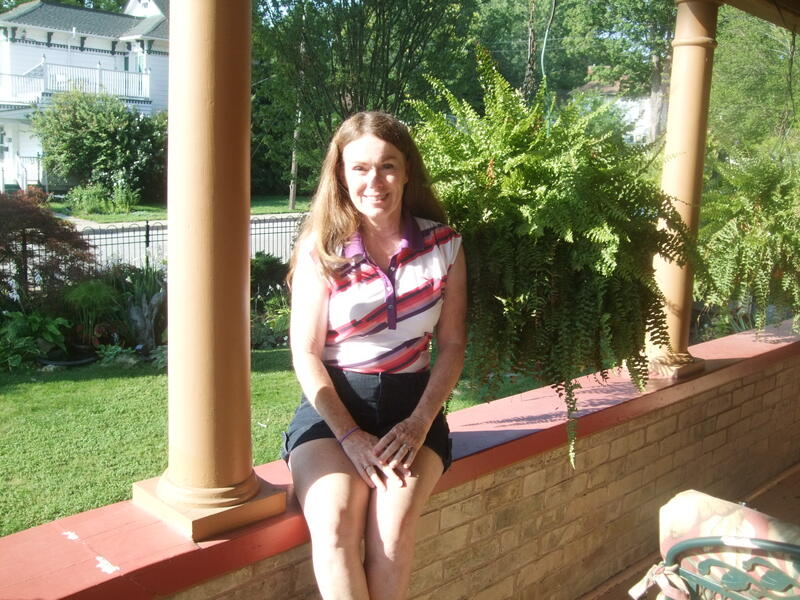 Twenty years ago after the kids grew up, Carolyn decided to welcome guests into her home. She and Gary fixed up one room for guests, and then three. Gary says that keeping up with the maintenance of the old house is a full time job. We stayed in the Prince of Wales suite with every amenity, plenty of room, and lots of atmosphere. Our friends stayed in the charming cottage loft over the garage. Both suites were very comfortable. The highlight of each day was the breakfast with muffins baked by Carolyn and stuffed french toast and eggs-to-order served up by Gary. The first morning they prepared a beautiful table setting in the courtyard. Silver teapots, fresh jam, and plenty of food. I loved the luxury, but I must admit I stuffed myself! 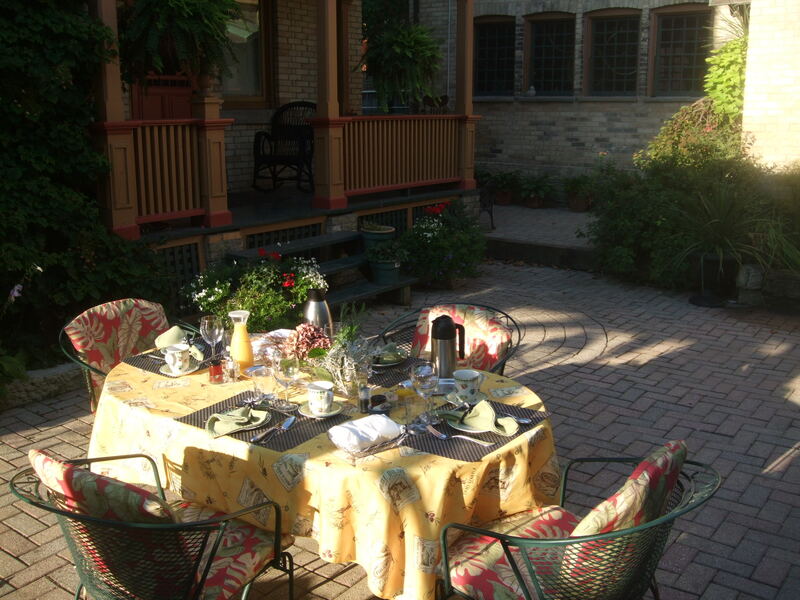 On the second morning, Bob and I enjoyed another lovely breakfast on our private balcony overlooking the courtyard. How pampered! 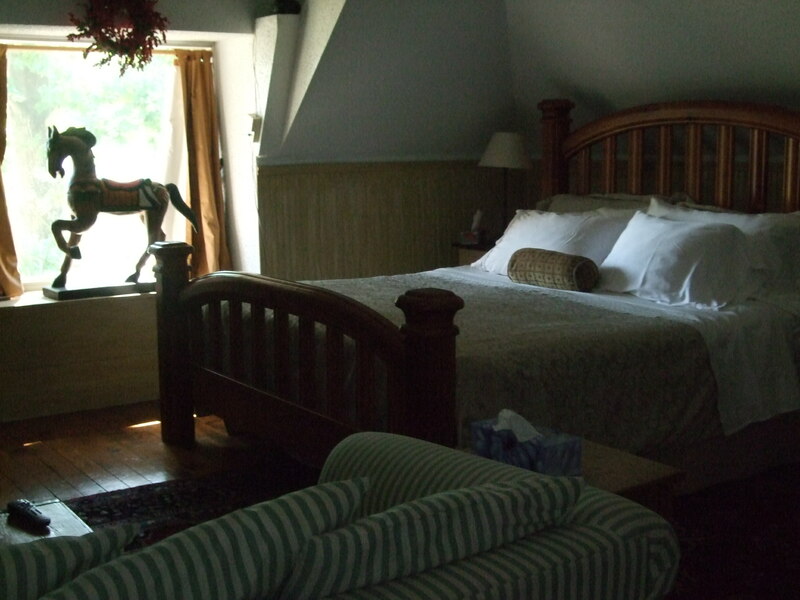 We felt very welcomed and comfortable at Park Place B&B. The family’s golden retriever greeted us each day, and the gardens and waterfalls helped us relax after doing touristy stuff. Carolyn gave tips on things to see and do, road directions, and discount coupons. We couldn’t have asked for better hosts. 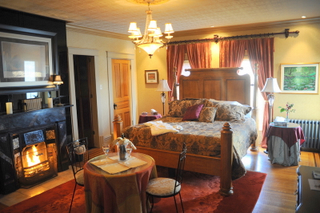 Park Place is an award-winning bed-and-breakfast and was the cover story in Ediface magazine. Surprisingly, the cost for our stay was cheaper than most of the hotels in Niagara. If you plan a visit to the Falls on the Canadian side, check out www.infoniagara.com/d-bed-parkplace.html .